Hi everyone! I'm heading off to blogshoot in Tennessee right now, but I had enough time to prepare a visual blog post for all my loyal readers. The iSHWASH Personal Eyewash System is something that I discovered in last August's Apocabox and I immediately put it in with my home medical gear. Then I realized that the moment I needed it would be precisely the wrong moment to go looking for a water bottle to use with it. 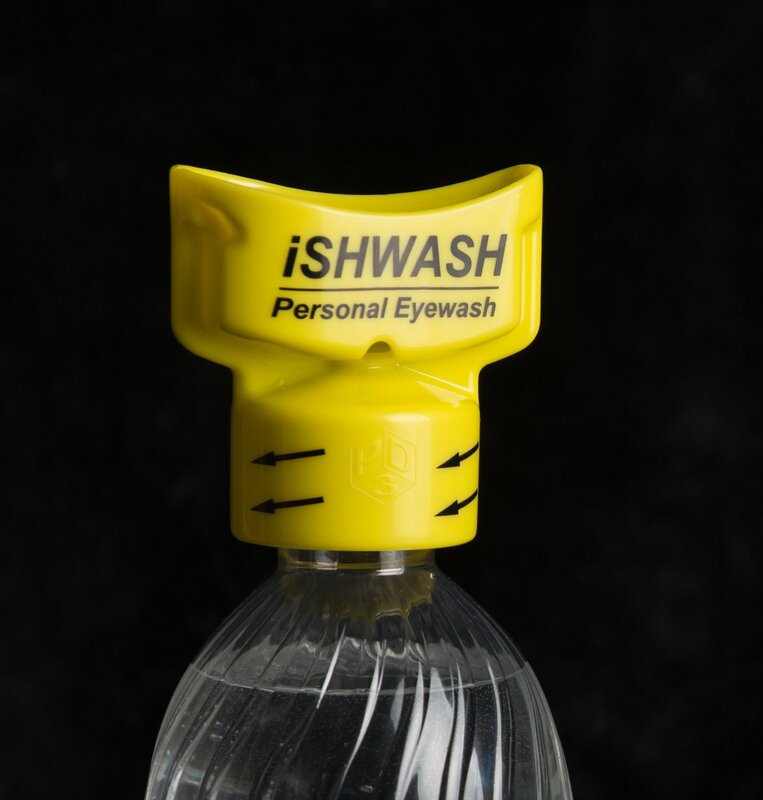 That's the eyewash device, assembled and ready for use, in a fresh ziploc baggie and rubber-banded to an unopened bottle of water. Another hack I have made is adding a carry handle to the trauma kit on my Get Home Bag. In this configuration, I can easily grab it off my GHB and carry it any distance, like I would do if I needed to help a victim of a car wreck, or if a shooting occurred at church or while shopping and I needed to get it from my car. The handle is wide enough that I can get all four fingers around it, and the foam adds both comfort and extra grip in case my hands are slick water, sweat, or blood. In this configuration, the handle easily stows for storage and doesn't add to the height of the bag. And it's very easy to go from stored to portable mode: a quick upwards pull on the carabiner lifts it into handle formation. Finally, this is a paracord bracelet I made with the buckles that came in this month's Apocabox. As you can see, it has a whistle (of dubious quality) and a compass (which is surprisingly good given its size and materials). What's interesting about this buckle is that it also has a flint and steel built into it. Of course, flint and still is rather useless without tinder, and so I integrated the Firecord -- 550 cord with what I think is a strand of waxed jute replacing the 8th cord -- that I got with my second Apocabox. Not only does this addition make sense with the flint and steel, but the red stripe on the nylon sheath nicely compliments the red ring around the compass. That's all the prepping stuff that I've made lately. What about you? If you've built anything cool lately, leave a comment and post a picture of it! Since Erin has explained what ionizing radiation is and the hazards it poses, I thought I'd add an article covering ways to measure it. Since you can't see, taste, or feel ionizing radiation, you need a tool to find out if it is present (qualitative analysis) and how much is there (quantitative analysis). Some detectors are designed for a specific type of radiation, while others have options or shields that will let you choose which kind is being measured. Different meters also have different ranges of detection, which will require a decision on your part regarding what you expect to find before you get a meter. As Erin covered here, there are various standards for reporting an amount of ionizing radiation, and the meters that are on the market use most of them. Be prepared to do some conversion of units when looking at buying a meter. Most of my experience with radioactive materials was many years ago while I was in the Army. I worked around nuclear materials, and we used a variety of meters to detect contamination. Technology has since replaced all of them with solid-state detectors and LCD displays -- no reason to carry a 10 pound meter when a 1 pound meter will do the same job! 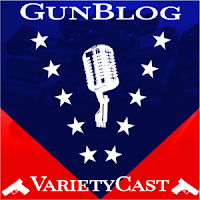 Unfortunately, costs have not come down with the size and weight, so expect to pay as much for a quality meter as you would a quality firearm. I do not currently work with radiation, and haven't used anything digital, so I won't be giving recommendations. I will however offer my thoughts on what I've seen on the market, and give a few caveats about what to look out for. I'm going to break the meters down by how the detectors are used, and then further by how they work, since that determines type and range of radiation detection. Dosimeters are carried on your body as you move through an area that may be radioactive. They will normally only indicate the totaldose you have received and aren't useful for finding out the intensity of radiation present. Most will not measure Alpha particles. These have been around since the 1940s, and you may still see them in use by staff in hospitals or clinics that run X-Ray machines. They are basically a piece of black-and-white film that is sealed in a paper or plastic container (to keep out light) and is worn on the body with a clip or in a holder. Positioning of where it is worn varies by work environment, but it is normally at the hip or on the breast pocket. Sometimes they are placed in a plastic holder that has varying densities of blocking material to allow measurement of the energy of the radiation. After use, the film is removed from its container and developed. Any radiation (other than Alpha) will cause white space on the film, so by measuring the white space it is possible to deduce how much radiation passed through the badge. My personal favorite, these use no batteries and the only moving part is a hair-thin wire. They are cheaper than many of the other reusable types, but do require a “charging” station. When I was in the Army, we wore them duct-taped to our left bicep so we could check them without using our hands. These work by applying a high voltage electrical charge to a fine wire, causing it to be repelled from one side of the body of the meter. Ionizing radiation depletes the static charge by (duh) ionizing the air in the meter. As the charged wire relaxes, it moves along a scale etched onto a piece of glass that you look through. This makes them very easy to read as long as you have a source of light. Thousand of surplus pen-style dosimeters and their chargers are available as surplus Civil Defense stock, but make sure you're looking at checked and calibrated items. There is usually a reason for them being surplussed, and it isn't always because they are being replaced with something newer. 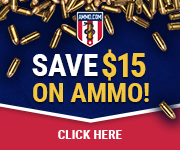 They are made in a variety of ranges from 0-500 mrem to 0-5 rem, so watch what you buy. A combination of a low range dosimeter and a higher range one would cover most exposures. Fairly new technology, these can be as small as a keychain, but at $140 they aren't cheap. The NukAlert is made in the USA and has a good warranty, 10 year battery life, and a wide range of measurement (100 mR/hr to 5000 R/hr). There are other models that are pocket-sized, but there are too many versions for me to try to compare. I'd be wary of any of the imports that can't even find a native English speaker to write their ads and descriptions. Equipment made in Europe, including Russia and the Ukraine, seems to get better reviews than the stuff coming out of China. Quality control is vital when playing with radiation. Using chemicals that change color when ionized (similar to pH indicators) on a credit card sized piece of plastic makes sense. (There is also a postage-stamp sized sticker that you can apply to the back of an ID card that works the same way.) It's similar to a film badge in that it is a one-time use indicator, but doesn't require a developing/analyzing lab. These have limited shelf-life and cost about $20 each for the cards, $25 for a five-pack of the stickers. Sometimes called Radiac meters from the military acronym Radio Activity Detection, Identification, and Computation. survey meters are used to check physical objects to see if they are radioactive. Normally hand-held units that can be “swept” over an object or person, they may also have removable detectors connected to a cable for remote sampling. Survey meters only measure what is in front of the detector, and the analog versions will not record total dose. There is only one civilian company certified to calibrate them. Many of the ones you'll see for sale cheap on sites like eBay are in need of maintenance or are broken beyond repair. Just because it passed a battery check doesn't mean it is in working order. These are the source of the generic name of “Geiger counter”. A sealed chamber filled with an easily ionized gas and having a high (<400V) voltage applied to the shell and a wire inside, ionizing radiation creates a path for electrons to flow from the wire to the shell, creating a spark which is easy to detect. The spark is what causes the ticking or clicking noise associated with radiation detectors. They are most commonly used for Gamma/X-Ray detection because the material of the tube will block Alpha and Beta, but some will have a “window” that will allow Beta through. These are very sturdy (they are designed for field use after all) and have been around for decades with a good track record. Some detectors use a flow of easily ionized gas through a chamber instead of a sealed tube. The ones I'm familiar with used propane and worked the same as a G-M tube, but had a much larger “face” that allowed for checking a larger area at one time, which is handy when checking for Alpha particles with their short range. There are certain chemicals that emit light when hit by ionizing radiation, and they make for a fairly simple detector. Light is easy to measure with a photodetector, so pairing the two inside the detector head is common. Used to detect and measure Alpha/Beta/Gamma radiation, these are sturdy and don't require the high voltage of a G-M tube. If you see a probe that has sides sloping up towards the handle, it is probably a scintillation detector. The market is full of detectors of questionable quality. There are $30-50 add-ons for a smart phone that will detect Gamma/X-Ray radiation, but have accuracy of plus or minus 30%, which is poor to say the least. Be sure that you are comparing apples to apples as well. There are a lot of Electromagnetic Radiation meters out there that use the words “dosimeter” and “radiation detector”. While these are useful for checking to see if your microwave oven is leaking or chasing ghosts through an abandoned mental hospital, they will not help you find or measure ionizing radiation; they are designed to pick up a wide band of radio-wave energy, not radioactivity. The odd-ball that doesn't fit either category, the Kearney Fallout Meter was developed for use in a fallout shelter to give the residents a way of checking for hot spots and leaks of radiation, as well as assuring that they were safe where they were. Designed to be built with common household items, the KFM is a larger version of a pen-style dosimeter. It uses an electrostatic charge on a folded piece of tin foil that has been suspended over a printed scale. Ionizing radiation reduces the charge on the folded foil much like it does the quartz fiber or wire in a pen-style dosimeter, and readings are taken in a similar manner. Get a set of the plans -- they're freely available on the web -- and keep them in your shelter. Maybe even build a test model on some rainy weekend, just to play with it. Tear apart an old smoke detector to get a test source of Americium-241 if you want to make sure it works. Check reviews on trusted sites and do your research before relying on anything that can impact your health, radiation meters are no different. Quality comes with a higher price tag and you usually do get what you pay for. 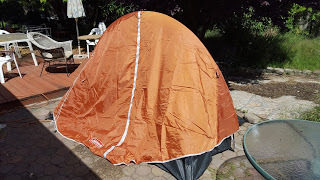 Back in March I mentioned my purchase of a tent, and how there was no room inside my house to set up and evaluate it. Complicating things was all the rain (Yay!) California has received -- all on my days off, it seems. I didn't want to set up my tent in the rain or on wet ground, as I don't have a place to put it to dry out before re-rolling for storage. My new tent is a Coleman Hooligan 2. purchased from a friend. 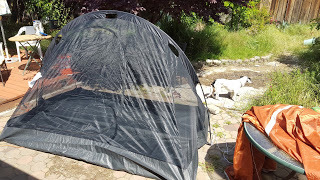 I still don't have a complete test of the tent, as it needs to be staked down and my back yard has no lawn areas, but I was able erect it using blocks as anchors. This allowed me to set it up to check it over and see how everything works together. Here is a Youtube video showing how to set up the Hooligan 2. In less than 5 minutes I had the tent up and ready to place the rain fly, and I expect to be able to do it faster using actual stakes instead of blocks. As seen in the video, I also put the rain fly on backwards at first, but since it is held on by simple open end hooks, rotating everything 180 degrees was easy. Here is the rain fly, incorrectly installed, and about to be blown off in the wind. I was not able to get everything completely assembled, due to setting the tent up on patio pavers in fairly breezy winds. Right after this, a gust of wind blew hard enough to tip the tent over and send the fly into the weeds, ending the photo session. I like this tent, even if it isn't the lightest (7 lbs) since it IS a tent and I needed one for so long. I now have the last item on my prepping list! One seriously needed tent, from a friend, priceless. Both of them. Now that we've gone over rods and line, it's time to look at what actually goes on that line. 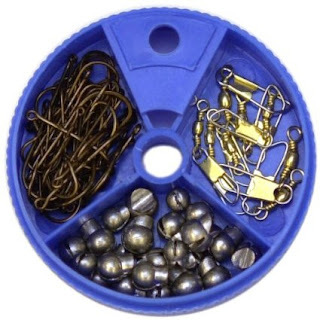 The collection of bits and bobs that affix to your line are called terminal tackle and consist of weights, hooks, floats, and a variety of other things that come together to hook and hold fish. Sometimes referred to as bobbers, a float holds your bait at a set depth below the surface. Finding the proper depth is generally a bit of trial and error until you learn fish patterns on a particular water. Bobbers also serve as an excellent indicator when a fish takes your bait, as they bounce and dive in a very visible fashion. 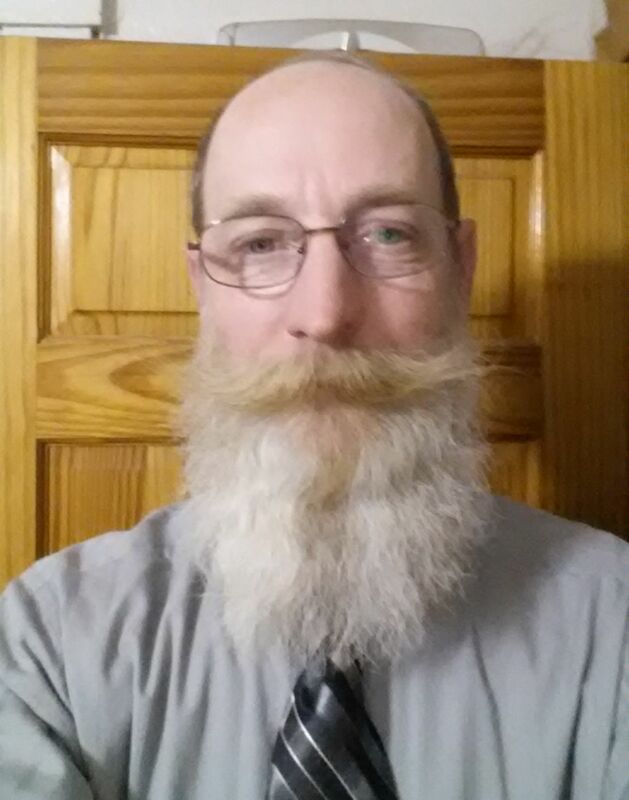 I'm a fan of the old school two-tone style that are very easy to set and adjust. Red and white is traditional, but other colors are available; pick the color combination you can see best and run with it. There is an array of weights or sinkers on the market. Each one does a particular task, and as you gain experience, you'll find yourself using a wider variety. The basic starting point for weight is the split-shot sinker. 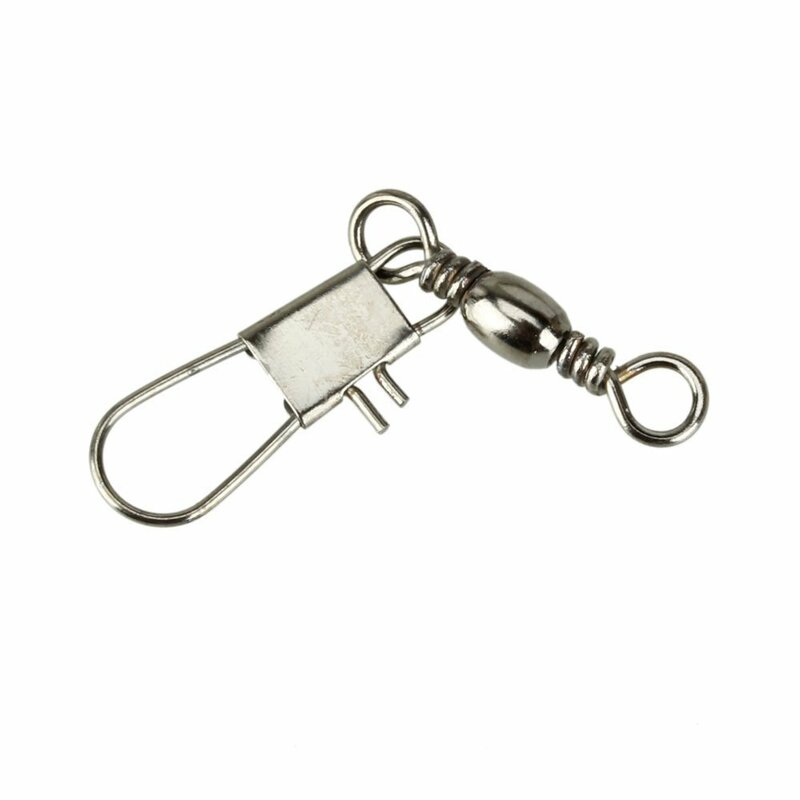 Made of lead or cast zinc, they are available in a range of weights to suit most situations. They simply crimp on your line at any point you desire, and can be combined to get whatever amount of weight gets the job done. The only particular feature to seek out are "ears" on the back of the weight, which allow it to be easily removed and re-used. Expanded view of split shot from Eagle Claw. Note the ears on top. The nature of moving through water gives fishing line a tendency to twist. Swivels allow your bait and hook to spin freely without knotting or binding your line, and snaps allow quick and easy changes to your rig. While they are available separately, my preference is for the combination model which simplifies your gear bag and covers almost all situations. The selection of hooks is pretty much limitless. Sometimes your choices will be limited by rules on a particular water (some have regulations against treble hooks or barbed hooks, for example), but beyond that it becomes a matter of style and preference. For basic baits, I like a baitholder style in a size 6 or 8. This style has a couple small barbs on the back shank of the hook, which keeps your bait from slipping off. If a hook says it is "snelled" it means that it has a short leader pre-tied from the factory, and is ready to clip directly to your snap. 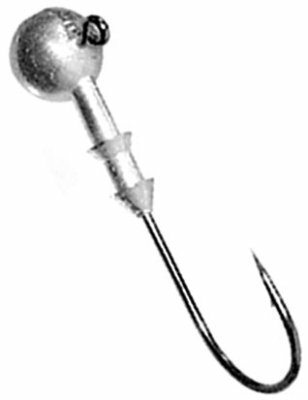 The two other major hook types are jigs and treble hooks. 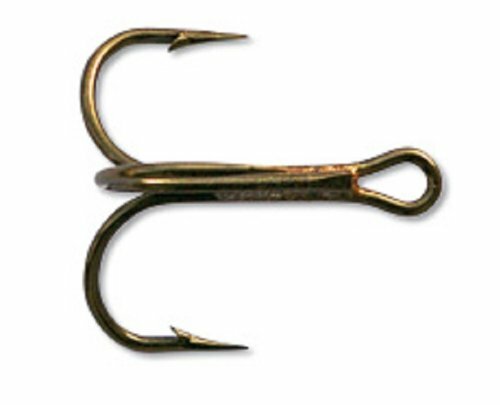 A treble hook is three hooks sharing a single eye and shank. They're great for soft doughy baits. Again, a size 6 or 8 is the ideal size for most fish. At this point, you're geared to add bait and catch fish. There are other bits that will make you more successful, but you've got everything we learned with as kids. As an aside, if you want a basic kit of terminal tackle to throw in a bag and go, this package covers the basics. It won't get you a lot of variety, and it's not fancy, but it's all of the basics for about $5. 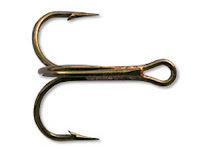 As a matter of warning, fish hooks are very sharp, and for good reason. If you're not very careful, you will get hooked instead of the fish. This hurts. A lot. Erin found a very handy article about how to remove a fish hook. I recommend that you read it now, before you need it. When someone is stuck and hurting is not the time to try and learn a new skill. Welcome to the final installment of "Radioactivity for Dummies" series. Over the past two months I've talked about why ionizing radiation is dangerous, how it works, how to shield yourself from it and how to keep it off you if you are accidentally exposed. But sometimes precautions aren't enough, and through sheer bad luck you may one day find yourself exposed to ionizing radiation. If that happens, do not panic; you are not necessarily doomed -- and if you are doomed, then panic will only reduce the amount of things you can get done with whatever time you have left. I mean this in the mathematical sense; how much of a dose you absorb is dependent upon the input of no fewer than three variables. As I explained in my first blog post on the subject, radioactivity is simply the measure of how quickly an unstable substance decays into a more stable form. 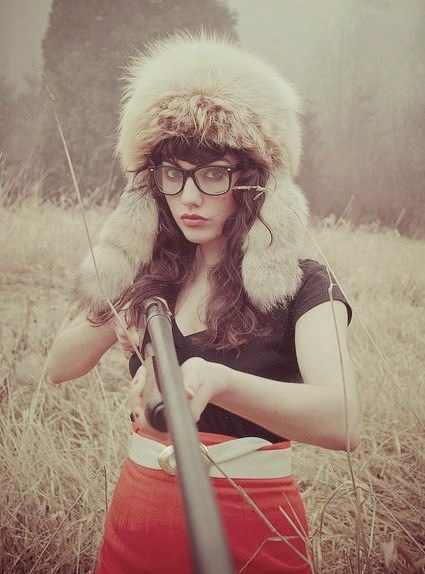 The faster it decays, the shorter its half-life is and the more dangerous it is to be around. Therefore, if a radioactive substance is emitting 4 rems per hour (rems being the measurement most common in the USA) , that works out to 40 millisieverts an hour. This is nearly the maximum yearly dose permitted to radiation workers in the US, but only if you hang around for the entire hour. If you quickly leave the area (see distance, below) your actual exposure will be much less. However, if you stay in proximity to it for a long period of time, the danger to your body increases because radiation exposure is cumulative. 8 hours of exposure (320 mSv) will likely cause radiation sickness, and a full day's exposure gives a dose of 960 mSv, nearly a full sievert -- not enough to kill a healthy adult, but definitely enough to make one very sick, including nausea, hair loss, and bleeding. Another time factor is that the human body can manage the same radiation dose if it is spread out rather than all at once. A 1 sievert dose all at once can overwhelm the body's ability to repair or replace damaged cells, but 1 Sv spread out over days, weeks or longer gives the body a chance to heal. This is known as fractionation of dose. In the same way that the warmth of a fire (thermal radiation) diminishes the further away from it you are, exposure to ionizing radiation diminishes by distance. This is known as the Inverse Square Law, and it essentially states "The further away you are, even if it's just a feet, the better it is for you." Running away from sources of ionizing radiation is almost magically effective, because doing so not only increases your distance (which decreases your dose) but it also reduces the amount of time you are exposed to it (which also decreases your dose). This means that so long as the source of ionizing radiation isn't all around you, the very best thing you can do is run away -- which is likely what your fear instincts are going to have you doing anyway. I have explained several times that radiation can be blocked by materials that are also very common. Several feet of water, dirt or concrete will stop most forms of ionizing radiation, so if you can put an industrial building between you and the radiation source, the better you are. Going underground (such as into a subway tunnel) would be ideal -- although be warned that others may have the same idea and you could find yourself in danger of being crushed by a crowd -- but if you can't do that, just put a city block between you and the danger. The combination of time, distance, and the thickness of a city block full of concrete and metal and water ought to protect you splendidly. An acute dose is when a person receives a radiation dose over a short period of time (a day or less). It results in acute radiation syndrome, aka "radiation poisoning", which has several nasty effects. Some of these are Non-stochastic effects, which means that they are related directly to the dose received. Non-stochastic results have a threshold below which they will not occur, and whose effects are more severe as intensity of dosage increases. An example of this are radiation burns; at low level they act like sunburns, but higher levels result in second-degree burns with blistering. Stochastic effects are randomly-occurring and whose results are independent of the size of dose. The effect typically has no threshold and is based on probability, with the chance of seeing the effect increasing with dose. Cancer is a stochastic effect. 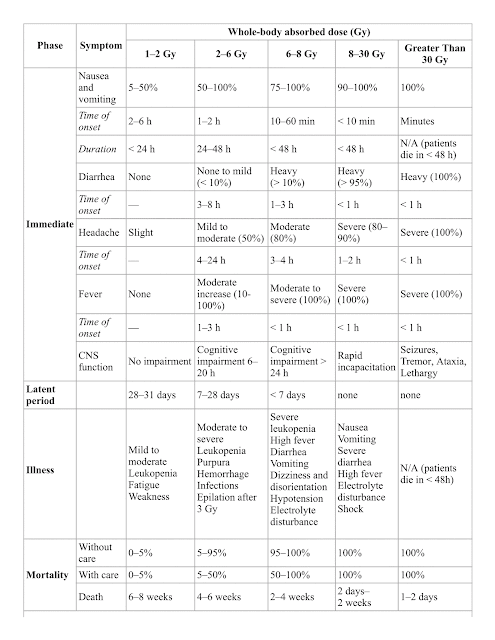 Other examples of acute radiation syndrome can be found at this Wikipedia article, which I converted to this printable image below. 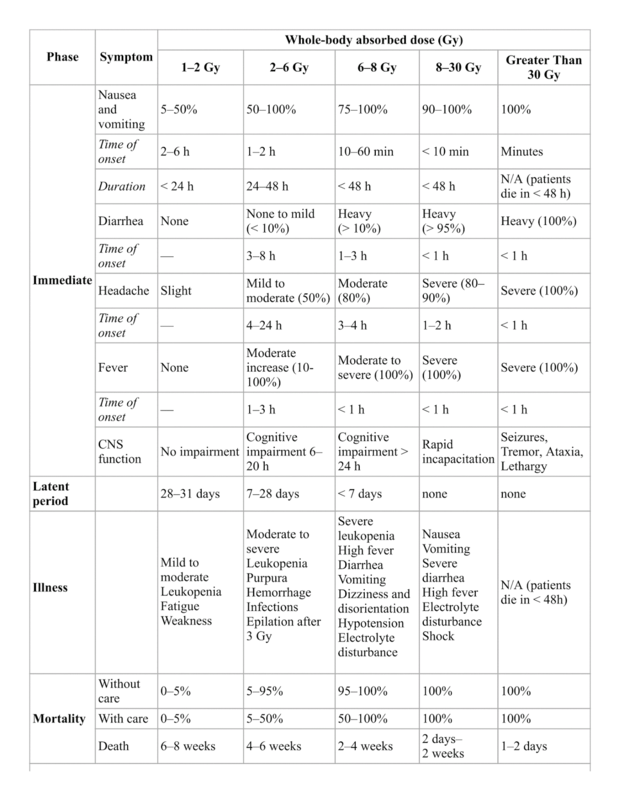 Keep in mind that these effects are based up Grays (absorbed dose) and not Sieverts (equivalent dose), the difference between which I explained last week. However, since 1 Gy equals 1 Sv when dealing with gamma and x-rays, this gives a good idea of how damaging exposure to such radiation can be. As you can see, more than 1 Sv has a high chance of fatality. If skin burns, damage to internal organs, or succumbing to disease due to destruction of white blood cells aren't enough to kill, then some form of immediate cancer likely will. Also note how prompt, proper medical care is a game-changer for doses of 2-8, turning what could be near-certain death into 50% or greater odds for survival. While many preppers have an inherent distrust of hospitals after emergencies, it is in your best interest to seek medical care after a radiation exposure incident as it can literally mean the difference between life and death. A chronic dose is when a person receives a large dose of radiation stretched out over a long period of time (days or longer). It does not take effect immediately; however, the greater the absorbed dose the faster the onset of symptoms will be. Symptoms of chronic radiation syndrome include cataracts, atrophy of or fibrous formations of the skin following radiation burns, and a high chance of cancer. As mentioned above, cancer is stochastic; the higher your dosage, the greater your chance of contracting it, but dosage has no impact on how severe that cancer is. You might get a little melanoma; you might develop leukemia. Cancer as a result of chronic radiation exposure can appear at any time during your life. According to this article written by Doctors of nuclear medicine, the latent period for leukemia is 7-10 years and for other ("solid") forms of cancer is 20-30 years. Fortunately, if you receive no more than a 0.1 Gy dosage, there are no indications for future appearance of cancer. Chronic radiation syndrome is the best kind the get (for certain values of "best") because the body has a chance to repair itself. If you're old enough, odds are good that you'll die of other causes before the cancer kills you. Is it my sincere hope that this series has taken the"fear of the unknown" which surrounds radioactivity and replaced it with knowledge. Yes, the effects of ionizing radiation are frightening; but knowing how it works, and more importantly knowing how to protect yourself from it, ought to reduce it from an "implacable boogey man" to a force of nature which can be guarded against, like fire or a tornado. One of the most common and useful chemical processes for preppers is distillation. Everyone has seen the water purification systems that boil the source water, cool the steam, and produce pure (distilled) water. The simple “solar still” method of collecting water uses the same principle at a much lower production rate and without an extra energy source. Distillation is a method of separating mixed chemicals based upon their boiling points (BP). If the difference in boiling points is more than roughly 25° C a simple still will work, but if the difference is less than 25° C you'll need to look into fractional distillation. The boiling points for various chemicals can be found in most chemistry reference books as well as the ubiquitous Material Safety Data Sheets (MSDS or SDS) that producers are required to make available for every product they handle. For most survival situations, specific chemical composition is not going to be known and resources are going to be scarce, so a simple still will be the best choice. For production of fuel or other trade goods, a fractional still will make a more pure product but requires more time and materials. Running your product through a still more than once will usually give a more pure product; before the introduction of reverse osmosis we used “triple distilled” water as pure water for general chemistry lab work. There are mixtures that cannot be separated by use of a still. If the boiling points are too close to each other, or if they form an azeotrope (a mixture where the BP of the mixture is higher or lower than either of the constituents), you will not be able to get complete separation from a still. Be careful if dealing with petrochemicals or explosive compounds as they may decompose (violently) when heated, long before they reach boiling point. If you are distilling anything for consumption, use only food-safe material in the construction of your still. Galvanized metal and lead-based solder will impart toxic levels of metals into your product. Stick with glass, copper, or stainless steel if at all possible. Bottoms: The material left over after you have distilled out what you want. Condenser: A pipe or passage that acts as a heat exchanger to cool the vapors back into liquid phase. The common moonshiner's term for a condenser is “worm”, since they use coiled copper tubing that looks like a snake or worm. For cooling fuel-grade alcohol an old car radiator would work, but the metals present would make the distillate unsafe to drink. Running cold water over the exchanger will make it more efficient, but simply moving air past it will also work. Distillate: The product that comes out of the still. Fractioning Column: A vertical column rising above the pot, fitted with trays or packing. (Explanation below) Fractioning columns will often have more than one outlet, to allow the collection of parts of complex mixtures like crude oil. Pot or Still-pot: The container that holds the raw or mixed beginning solution. It must be capable of being sealed to the condenser and withstand the heat need to boil the mixture. Receiver: The container that catches your distillate. Reflux: Recycling a portion of the distillate to pass it through the still again. Often used in continuous distillation processes instead of running batches through multiple times to increase the purity of the distillate. 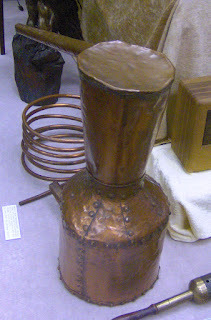 Thump Tub: An intermediate cooling stage commonly found in moonshine stills. Vapor from the top of the pot is passed over a container of water on its way to the condenser. This allows for the removal of some of the chemicals that can impart bad flavors to drinking alcohol. Purifying water or alcohol can be accomplished in a simple still. Here is a picture of a simple copper batch still, where the pot and condenser coil are easy to pick out. The pot is filled and placed on a heat source and the “worm” is placed in a tub of cold water (if available). There are electric and stove-top versions of this simple still on sale for purifying water, but as you can see they aren't that hard to cobble together. This one is almost a hundred years old and could probably still be used today. Here's a good diagram of a fractional distillation tower for separating crude oil into useful parts. 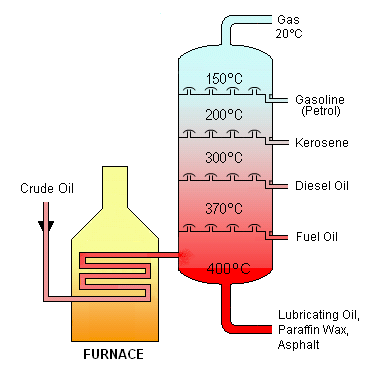 It is common practice to use the waste gas coming off the top to fuel the furnace that heats the incoming crude oil. Waste not, want not. The trays are designed to allow the heated vapors to rise through the column, but the “caps” on the holes in the trays cause some of them to condense at the temperature present at that height. The condensed liquid helps maintain the temperature at that height and is drawn off in a continuous stream. Fractional distillation would be useful for long-term situations as a way to recycle used motor oil or production of fuel from local supplies of crude oil (which is more common that you may believe, I've seen oil wells in Iowa and Nebraska). By using a taller tower with more trays, it would be possible to sort out the constituent parts of the gasses produced by roasting coal or wood to produce fuels and solvents such as methanol (wood alcohol) and acetone. There is also a lot of research going on right now into the recycling of waste tires and various biological wastes into crude oil through pyrolysis. If we ever get to the Mad Max stage of survival, knowing how to produce lubricating oils and fuel could be a valuable skill. This has been an extremely simple overview of distillation. There are so many uses for this method of separating compounds that it is difficult to keep things prepper-related. Distilling out essential oils for medicinal uses, concentrating the flavors of certain spices to make them easier to transport, making useful chemicals, and so many more all use the same basic mechanisms -- with special attention being paid to the details like temperature and pressures. If you need more specific information, please comment on our Facebook page and I will try to help as best I can. As I checked through gear in the two bags that go with me every day (and took out the water bottles that had been there for a month), I remembered the gym bag that I haven't used for 7 months. I was able to swim 3-4 days a week before finding my current job, because I didn't go in to work until 10 AM. These days I start at 5, the same time the municipal pool opens for the day. I kept a towel, swim trunks, goggles, shampoo, soap, $5 in change, water and a flashlight in the bag, and seven months sitting in a bag is not good for a flashlight. The light obviously didn't come on when I tried it, and when I tried to remove the batteries the case was very hard to open. 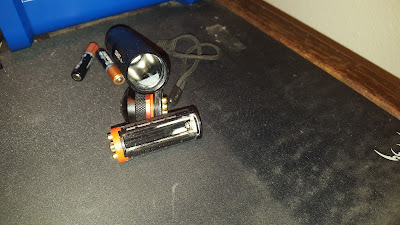 If you look closely at the 3 AAA battery carrier, you can see the corrosion at the base opposite the contacts (orange end) and also in the body of the flashlight (the white area in the opening of the tube at 5-6 o'clock). One of the cells fell apart in my hands when I removed it, which is why all the contamination occurred. After wiping off the contacts and replacing the batteries, the light still didn't come on. I tried some electrical contact spray cleaner next to see if that would fix any problems, but no luck with that, either. I feel pretty dumb about leaving a flashlight unchecked for half a year and now throwing away a $40 flashlight because of $2 worth of batteries. This is not going to happen in the future. From now on, there will be an inventory list of which items are permanently in each bag, and a calendar reminder to check and swap out perishables and other items, like batteries, especially in bags I don't use regularly. This isn't a problem with my EDC or GHB bags: I'm constantly in them and always looking at the contents and using what I carry. The gym bag is in my closet on a hook, and since I'm not swimming or going to a gym, it was "Out of sight, out of mind"... forty dollars out of mind. I am not able to replace this light with the same model, as my budget won't allow it. I plan to check my gear much more often than in the past. I can't make mistakes that cost this much too often, even if my budget is in better shape than when I started writing these posts. Don't forget to check all your gear for things that need to be replaced or renewed. Don't expect your memory to keep track of everything -- have a backup copy and make it easy to find! Nothing was purchased this week, and all items swapped into my Carry Bags were in my pantry already. Fishing line is what connects the fish to you. It is also the most common failure point in a fishing rig by many orders of magnitude. This should lead to the conclusion that your line must be checked regularly and replaced whenever needed. You should also give some thought to the line you select. Particular brands of line (and terminal tackle) are less important than actual characteristics, despite what brand adherents will tell you. Much like Ford/Chevy/Dodge arguments, fishing brand arguments are carried on with religious fervor, with zero real outcome. Instead, find a line weight and type that meets your liking. Lines are rated by weight rating, stated as "pound test." As an example, a line rated at "6 pound test" is a very good choice for freshwater fishing in North America. The 6 pound rating means that, as it comes off the spool, it should break at no less than 6 pounds of strain, and often breaks far higher that that. Lines with lighter ratings have a smaller diameter and are more flexible, meaning you can feel fish bite better, as well as being less visible to wary fish. Heavier rated lines are obviously stronger, handling larger fish as well as heavy cover where large fish hide. The other characteristic used to classify line is the material and construction method. The three most common types are monofilament, braid, and hybrid. Each has their own benefits and detriments, and they all fish a little differently. Monofilament, or mono, is old-school line, and is the most popular line in the USA. Mono is also the most budget-friendly fishing line. Made from a single extrusion of soft plastic, it has great stretch properties and the ability to take a knot well. All-around, mono is a fine choice in line. Braided lines are a fairly new technology. They offer zero stretch, and far greater strength, than monofilament of the same diameter. This translates to thinner lines with the same strength, longer casts and more sensitive feel. The trade-off is that braids are far harder to knot or cut, and the lack of stretch means they need to be fished with more finesse than mono. They also have a higher price point than monofilament. Hybrid lines combine the best parts of monofilament with the advantages of a less-common type of line called fluorocarbon. By combining the two, you get an easy-tying line that has a bit more give than fluro and more strength and abrasion resistance than mono, but lacking the stretch and feel of mono. It is also more expensive than mono, priced on par with many braids. As a practical example, the rods in my the house are strung in different ways. Most are strung with either 4 or 6 pound monofilament, which gives me the freedom to fish for anything from bluegill and crappie to large trout and bass. I also have a couple heavier action rods that are strung with 12 pound hybrid line, which are used for catfish and for using heavy plugs and crankbaits, especially when fishing weed beds and cover that bass seek. I don't have braids on anything, because it doesn't fill any holes in my gear. Whichever line you choose needs to be checked for damage as you fish, and any damaged portions discarded. Damaged line breaks far more easily, costing you hooks, lures and fish. As the volume of line on your reel gets low, refill the reel spool with replacement line to keep fishing. I generally have to do this about once a year on my personal reels. We're almost done with the "Radioactivity for Dummies" series. I've talked about why ionizing radiation is bad and how to prevent it, but sometimes you can't keep it off you. Before I can explain about doses, though, you need to know the terms that measure radiation -- and there are a lot of them. The becquerel measures rate of decay -- how often a radioactive substance releases ionizing radiation. This is known as specific activity and is why the word "active" is in "radioactive". 1 Bq equals 1 release per second per gram of substance. This is not to be confused with counts per second, which is how often a measuring device (like a geiger counter) detects the radioactive emission. This is an important distinction; the closer to a radioactive substance a geiger counter is, the higher its counts per second will go, but the substance's rate of decay will not change. The Becquerel does not measure how dangerous a radioactive substance is; it only measures its activity. 3.7 x 10^10 Bq = 1 curie. Like the Becquerel, the Curie measures the rate of decay of a radioactive substance. Unlike the Becquerel, it is a much higher number; 1 curie equals 37 billion becquerels, or 37 Gigabecquerels (GBq). This is largely due to the fact that scientific instruments were much less sensitive when it was introduced (1953) than the later Becquerel (1975). This unit has fallen out of favor and is rarely used. For the curious, 1 Ci is roughly equal to the specific activity of 1 gram of Radium-226 (the most common form the element). 1 Ci = 37,000,000,000 Bq. This unit measures absorbed dose -- in other words, how many "energy units" of ionizing radiation a certain mass of matter absorbs. 1 gray equals 1 joule of energy deposited into one kilogram (2.2 pounds) of a material. To put that in terms you will understand, one joule (J) is the energy needed to lift one medium-sized tomato one meter off the ground. It is also the energy released when that same tomato is dropped and strikes the ground. Since grays only measure the amount of energy absorbed and not the biological effects of it, preppers will not find much use for it. Far more useful for our purposes is the sievert, below. This is an acronym for Radiation Absorbed Dose, and just like the Gray it measures absorbed dose. It has been supplanted by the gray, but some countries (like the USA) still use it. 100 rads = 1 Gy. 1 rad = 0.01 Gy. (10 milligray, or mGy). 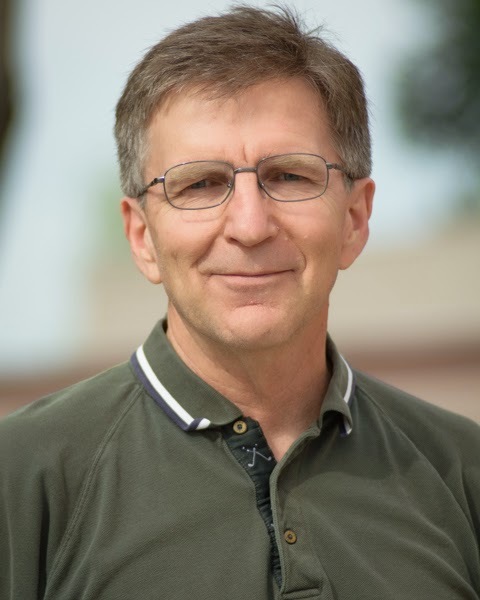 Sieverts measure equivalent dose, which is the probability of cancer or genetic damage within a human body. 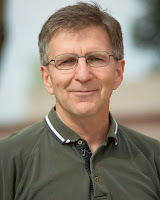 The more sieverts a body absorbs, the higher the likelihood of damage to that body. However, not all forms of ionizing radiation have the same biological effects, even if the doses are identical. To determine the equivalent dose, you multiply the absorbed dose (Gy) by a quality factor (Q) that is unique to the type of incident radiation. Gy * Q = Sv. In other words, you're better off absorbing a dose of gamma radiation than absorbing the same dose of alpha radiation. Fortunately, alpha radiation is easy to block. More information about sieverts, including a handy chart, are in my first post on this topic. 1 Sv = 100 rem. Another acronym, this time for Roentgen Equivalent Man. An older unit that has fallen out of favor, it has been replaced by the sievert except in the USA. One rem equals a 0.055% chance of eventually developing cancer. 20 rems therefore equal a 1.1% chance of cancer. 1 rem = 0.01 Sv (10 millisieverts, mSv). A largely useless unit, it measures the ionization of molecules in a mass of air by gamma or x-rays. It only describes gamma or x-rays, and only in air. The good news is that you rarely need to know this information. The bad news is that if you hear it, it's likely being used to describe exposure to a nuclear detonation or an extinction-level event known as a gamma-ray burst. A few years ago, a young friend of mine moved to Southern California with her husband and new baby. The housing they were living in was fair, but when the air conditioner died in July, the landlord struggled to find someone to fix or replace it. Having been around babies in the Summer, I know how uncomfortable they are in the heat and how miserable that makes parents; she needed a way to cool at least one small room so her daughter could have a place to sleep comfortably. I did some research and found several sets of plans for a home-made swamp cooler that she could afford to put together for less than $50 and were enough to cool a small room. It worked well enough and long enough to get them through until the AC got fixed, and her husband ended up making a few for neighbors with the same problem. While this wasn't a true “emergency”, it's still an example of how a bit of knowledge and some simple skills can make rough times easier to get through. It's a way to cool air using the evaporation of water and a fan. They're simple, easy to make, and quite energy efficient, but they don't work everywhere, especially in areas of high humidity. Swamp coolers work by passing air through a mesh or media that is kept wet. Using the same principle that your body uses to cool itself by sweating, the water evaporates and carries excess heat with it. In the time of the Pharaohs they used slaves with fans to move air past containers of water or wetted blankets hung over doorways, so it's not new technology. Water is an odd chemical from a lot of standpoints, but the one aspect that makes swamp coolers work is its high latent heat of evaporation (enthalpy of vaporization). Put into layman's terms, water requires a lot more energy to convert from liquid to vapor than most other common chemicals -- on the order of three times more energy than ethyl (grain) alcohol and six times more than a lot of hydrocarbons. This means that if we can get water to evaporate, it will carry away a lot of heat. The sticky point is getting that water to evaporate, which brings us to another term: Dew Point. If you get your weather forecast from the radio or TV you probably don't see the dew point listed, but it will be in all aviation forecasts and most of the internet weather sites. 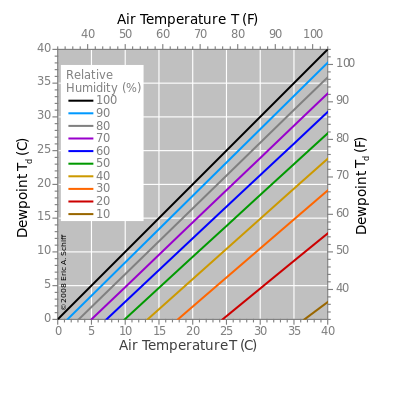 Dew point is the temperature at which the humidity already in the air will start to condense (100% relative humidity), creating fog and dew. Aviators need this information to avoid flying into fog, which is why it is part of a METAR (Meteorological Aerodrome Report). Mount a fan or two in the lid of the bucket, blowing air into the bucket. Cut vent holes in the sides of the bucket, as many as you want. Line the bucket with a fibrous mesh (humidifier filters work best). Add water, usually 2 but no more than 3 gallons. The pump moves water over the fiber mesh while the fan is blowing air through it. As the water evaporates, it cools the air coming out of the vent holes. Expect to go through a few gallons of water every day. so make sure you've got the extra water available. It doesn't have to be potable water, but the cleaner it is, the longer your filter mesh will last and the fewer problems you'll have with impurities getting volatilized and spread around your living areas. Use your imagination to replace parts you may not have. Wood chips or shavings (think pet bedding) or loose straw will hold water while allowing air flow, so long as you don't pack them too tight. A towel or piece of blanket held up with bent coat hangers will hold water. 12V DC fans are easy to find; if you don't have a computer cooling fan around, look for an automobile blower fan in a junkyard or check out one of the larger truck stops for a 12V DC fan. Solar power is a good option because you'll need the cooler most when the sun is shining. Knowing how something works is the first step to making it work. Following up on the original post that mentioned my new sleeping pad, I had a chance to try it out this past weekend. Now, I didn't get outside for this test; it rained Friday, Saturday and early Sunday morning, and I don't deliberately go foul weather camping any longer. This test was conducted under controlled conditions at my sister's house, where I was dog sitting for the weekend. A quick recap: this is a Cirrus Air Pad, purchased on closeout a month ago from my local REI store. It's a really nice pad that takes up less space than what it replaced (a Thermarest) and is more adaptable and in my opinion more comfortable. Inflation (covered here) went very quickly -- about 2 minutes to get the pad filled enough to lie on, and another minute or so to make it as firm as I wanted. After getting the pad inflated and situated in the spare bedroom, I fluffed up my sleeping bag, grabbed my travel pillow, and stretched out for the night. 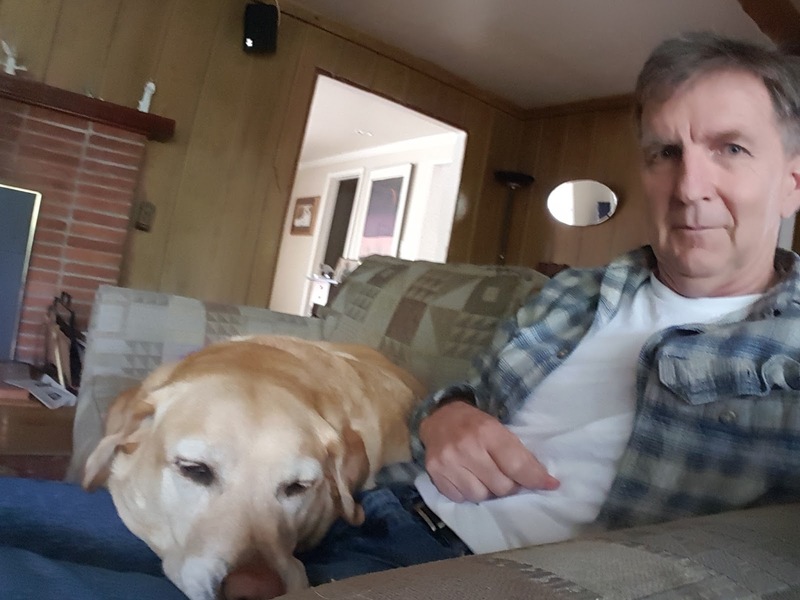 My sister's dog is a 'takeover' from my brother-in-law's family -- they were downsizing and moving into a place that did not take large dogs, so Lily the Lab is still getting used to a new house and routine. This meant visits during the night to check to see if I was still there and attempts to sleep on top of me. About every 2 hours. All Friday night. For the time I was actually asleep, the pad was outstanding. There was less air mattress sound and feel than in my first impression and the long term durability should be great, after a 90 lb. Lab walked over it with no ill affects! Need I mention that I abandoned the test after one night? This pad is one of my favorite items, ever! If you get a chance to check out an REI store, it will be worth it just to see some of the really neat gear assembled in one place.